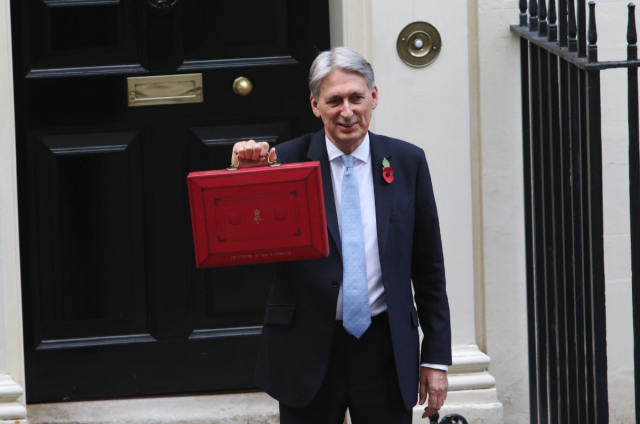 With the Chancellor’s decision to freeze duty on beer, cider and spirits (but not wine), cut business rates for small businesses and undertake a review of small breweries’ relief, we gauge the industry reaction to this year’s Autumn Budget. As db reported yesterday, this year’s Autumn Budget brought welcome news for the UK beer, cider and spirits industries, however delivered a “hammer blow” to wine. As a result of yesterday’s decision, which will come into effect on 1 February 2019, drinkers will save an average of 2p on every pint of beer, 1p per pint of cider in 2019 and 30p on a 70cl bottle of Scotch whisky. However, consumers will be paying 7p more for a bottle of still wine and 9p for both still and fortified wine in 2019. Also announced yesterday was rate relief for businesses with a rateable value under £51,000, cutting rate bills by a third for around 90% of independent small business, including pubs. Although this will mean annual savings of up to £8,000 for some pubs, trade bodies including the Campaign for Real Ale (CAMRA) has criticised the scrapping of “pub specific rate relief” meaning that those venues with a rateable value in excess of £51,000 will lose out. The Chancellor, Philip Hammond said in his statement: “I have received numerous representations from my H and RHFs on one particular subject, I will therefore be freezing beer and cider duty for the next year, keeping the cost of beer down for patrons of the Great British pub. “And, in response to the concerted lobbying of my Scottish Conservative colleagues, I will also freeze duty on spirits, so that we can all afford to raise a wee dram to Ruth Davidson on the arrival of baby Finn, saving 2p on a pint of beer, 1p on a pint of cider, and 30p on a bottle of Scotch or gin compared to the inflation assumption in the OBR forecast, while proceeding with the usual RPI increases on wine. “As promised at Autumn Budget 2017, so-called white ciders will be taxed at a new higher rate. Of business rates he added: “The change our High Streets face is irreversible and it will take them time to adapt to it. But I know that many small retail businesses are struggling to cope with the high fixed costs of Business rates. “Since 2016 we have introduced business rates relief measures worth £12 billion and many of these reliefs will have benefitted High Street businesses. “But today I can go further: At the next revaluation in 2021, rateable values will adjust to reflect changes in rental values. But I want to help retail businesses now. “So for the next two years, up to that Revaluation, for all retailers in England with a rateable value of £51,000 or less, I will cut their business rates bill by one third. “That’s an annual saving of up to £8,000 for up to 90% of all independent shops, pubs, restaurants and cafes”. Scroll through to view the reactions from key trade bodies and on social media, including a much-circulated infographic on wine duty per bottle across Europe from owner of Château Bauduc, Gavin Quinney.